Bentley at Paragon Village is a centrally located community providing assisted living for seniors in Hackettstown, NJ. 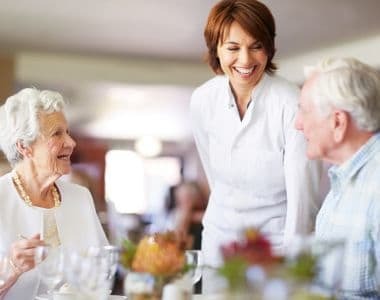 For seniors looking for quality care and active social engagement, Bentley Commons at Paragon Village offers a unique approach to assisted living. New Jersey residents have come to know Bentley Commons for our customized care programs, amenities, and services. It is this holistic approach to assisted living and senior care that gives our residents a sense of community ownership and their families peace of mind. Our personal senior care staff provides assistance with Activities of Daily Living (ADLs) including dressing, bathing, morning and evening care, escorts to meals and activities – and more. Our goal is to foster independence, by providing as much – or as little – support as needed. We do this with a focus on treating our residents with dignity and respect. Providing high-quality assisted living for seniors is our passion and our mission. A variety of studio, one bedroom, two bedroom and even companion suite options are available to residents calling Bentley Commons at Paragon Village home. Bentley at Paragon Village ensures that residents are as active as they want to be, while providing spaces for quiet socializing and private contemplation. Every day we will be living fully, creating joyously, and experiencing a rich mix of art and culture, learning, and entertainment.